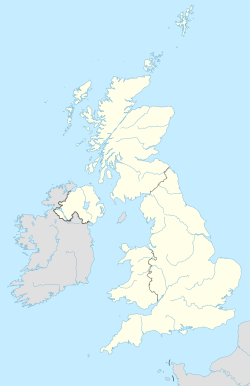 The OL postcode area, also known as the Oldham postcode area, is a group of postcode districts around Ashton-under-Lyne, Bacup, Heywood, Littleborough, Oldham, Rochdale and Todmorden in England. Whilst including almost all of Oldham and most of the wider Metropolitan Borough of Oldham, it is not exclusive to these areas, extending into most of the Metropolitan Borough of Rochdale and parts of the Tameside borough of Greater Manchester, and through a very small part of both Lancashire and West Yorkshire. OL postcode area map, showing postcode districts in red and post towns in grey text, with links to nearby BB, BL, HD, HX, M and SK postcode areas. ^ a b "Non Geographic Codes" (PDF). Royal Mail Address Management Unit. July 2012. Archived from the original (PDF) on September 16, 2012. Retrieved 20 December 2012. ^ "New sectors and localities to 14 December 2012" (PDF). Royal Mail Address Management Unit. 20 December 2012. Archived from the original (PDF) on February 2, 2015. Retrieved 20 December 2012.